For someone, nothing can be compared with the beauty of the original classic models in perfect condition, especially barely driven copies. 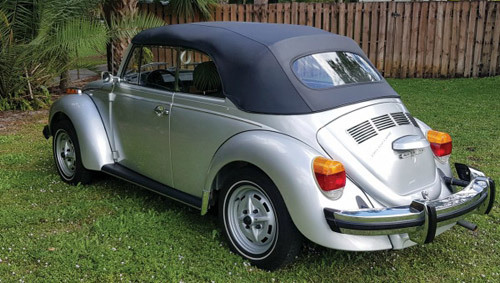 Listed at the RM Sothebys auction for their Fort Lauderdale event, during April 6 and 7 in Florida, this Beetle can be sold for $40,000 or $50,000, which is slightly more than a brand new Golf R, which starts at $39,375 in the United States. 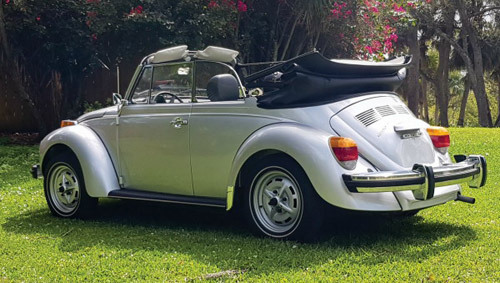 In fact, what makes this model so special and which led to the astronomical sum is that this is not an ordinary Volkswagen Beetle Supper Cabriolet, which in America is about $15,000. Of course, this is due to a minimum mileage of 1,287 km, and according to the auction house, the car is in a nearly new state. 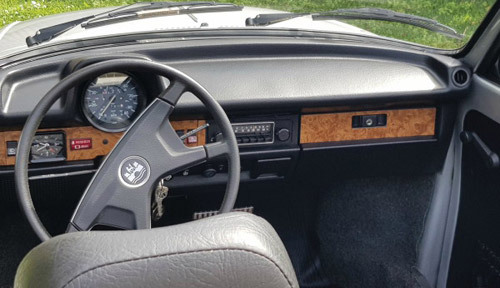 The history of this model has been properly documented, since it left the factory in 1979, accompanied by a perfectly maintained service book and embedded labels. Auction house doesn’t disclose details of any restoration or proper maintenance, however, when we consider the estimated selling price, we can think of another option, which probably ends with a few works that were needed. What is important, everything works very clean and perfectly maintained in the passenger compartment and engine parts. Original Beetle has won all the hearts and has earned its name as an inheritance, becoming a highly valued collector’s specimen, whose successor faces very difficult times. Volkswagen plans to to fully retire it, as having a completely new Beetle no longer makes sense, according to Frank Welsh, director of the company. VW still has classic models in its range, in the form of a completely electrical reinterpretation of the iconic Minibus model.